We Are An Investors In Pupils School! Our assessment day was on Tuesday 25th March and we were successfully awarded Investors in Pupils status. 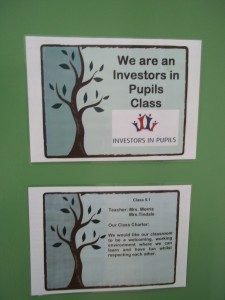 The assessor was really pleased to see how we promote the 5 principles behind Investors in Pupils in Wibsey Primary School. 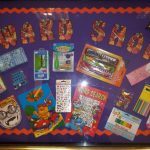 Each class has a vision statement with clearly defined aims that are displayed in all classes and include a reward, or choice of rewards, that will be awarded upon successful completion. The assessor noted that ‘ class targets were on display in all classrooms visited and these were evidenced in different artistic ways. All children spoken to were able to describe how targets were selected and the review procedure’. The school council have done research about the school budget where they met with Mrs Spendelow, our Business Manager. The school council shared their findings with our pupils via assemblies and established class monitors to help take care of things in our classes and save money. 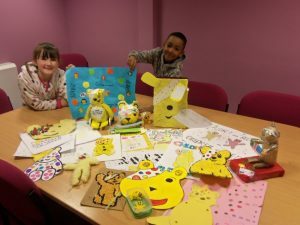 The assessor was particularly pleased to find that ‘pupils participate in charity fund raising for a number of charities including Children in Need and the MacMillan Nurses’. 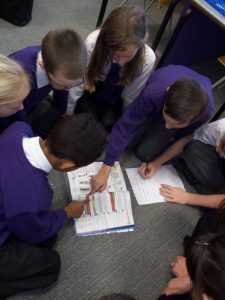 The assessment report noted that ‘ WibseyPrimary School has an improving and above average attendance rate. This is supported through the Headteacher’s attendance award and an opportunity for classes to gain recognition for good attendance. All pupils identified were able to explain the importance of good attendance and understand that attendance contributes to learning’. We take care of everyone new to our classes, children and adults alike. Each class has a class booklet which explains the rules and routines of our class and we also have ‘buddy books’ to help new children settle into our school. 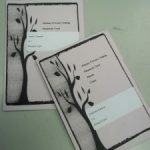 The assessment report noted that’ each class has induction booklets, some hand written and some produced using ICT. These contain details of pupils, teaching/support staff, timetables, floor plans, class vision statements in addition to the innovative practice of including fire escape procedures and a profile of the year group Governor. All pupils interviewed were aware of their induction books and justifiably proud of the effort that had gone into making them’. We have many ways of rewarding positive behaviour in our school. Each child has a star card and children collect stars that they can then use to exchange for treats in our reward shop. 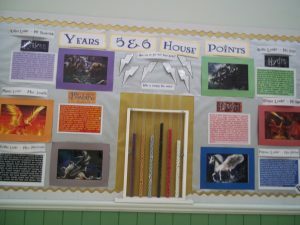 The assessor stated that ‘pupils have negotiated rewards and ways to recognise success including the Rewards Shop; Headteacher’s award for attendance and a ‘mythical beast’ themed house points system in KS2’. The assessor was also pleased to find that our children have a good understanding of the roles of different adults in our school. 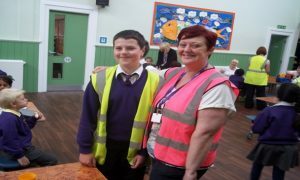 This was evidenced through our ‘take over day’ where children shadowed different members of staff in school for the day. Successfully being awarded as an ‘Investors in Pupils’ school has been a whole school achievement. Many thanks to our parents. governors and staff who were part of the assessment process and of course…our children!